Pass It On is a global program exchange for positive aging–how to be a happy old person . . . Pass It On. Pass It On is the premier children’s consignment event. Pass It On is a C-level horror movie and a D-level how-to-improve-your-life movie. “Pass it on” is also the testimony of Bill Wilson, an AA Alcoholic Anonymous success story. Pass It On is a learning center at Georgia Tech University which promises to raise your IQ. But most importantly of all, pass it on is what believers must do. But which believers? Who is responsible for training the next generation of believers? Is it the job of the Christian para-church ministry, the Christian camp, the Christian college or the Christian theological seminary or graduate school? I have been a part of three well-known parachurch organizations, a Christian college, a seminary/grad school, a camp and six churches—and with the exception of two churches, they all have moved away from sound doctrine. Some have outright abandoned the Gospel. So who is going to pass it on? Who will influence the next generation for Christ? The Word of God lays the responsibility of training the next generation of believers clearly on the true Church of Jesus Christ, and in those churches upon the shoulders of the faithful men in each generation. Paul makes this abundantly clear in his final New Testament letter, 2 Timothy 2:1 to 8, focusing on verses 1 to 2. Turn there and take your outline. Read with me verses 1 to 2, “You therefore, my son, be strong in the grace that is in Christ Jesus. 2 The things which you have heard from me in the presence of many witnesses, entrust these to faithful men who will be able to teach others also.” Second Timothy is a very personal letter written by the apostle Paul to his main apostolic assistant, Timothy, as he ministers in the church found in the city of Ephesus. Paul was released from his first Roman imprisonment for a short period (writing 1 Timothy and Titus during that season). Now five or six years later, Paul’s been arrested again, apparently under the persecution of Nero. At his first arrest, Paul was under house guard able to have visitors (Acts 28:16 to 31) and confident of his eventual release. Now with this second arrest in 2 Timothy, Paul is in a cold cell (4:13), in chains (2:9), with no hope of deliverance. As Paul faces imminent execution in this final letter, he asks Timothy to hasten to Rome for one last visit (4:9, 21). In 2 Timothy, aware his end is near, among other great truths, Paul passes on the non-apostolic baton of ministry and apostolic truth to Timothy and exhorts him to entrust the truth of the Gospel and God’s Word to able men. Timothy must pass on the truth, so Paul clearly communicates God’s mandate for Tim to hand the baton to the next generations in chapter 2:1 to 2. Young marrieds, collegians, high schoolers, jr high students and kids–let me make this official. As a church, the reason we want you in church every week, then to a lesser degree in Sunday school, student ministry and week night gatherings—yes, to see you saved and sanctified, yes, for you to intimately know, love and obey Christ. But much more than that–it is for you to be trained to take over the spiritual responsibility of leading this church and embracing the mission of this church, to impact this world for Christ. We are not committed to babysitting, entertaining you, making it merely fun. At FBC, we are dead serious about preparing you to accept the responsibility of spiritual leadership and to call you to embrace the mission of making the true Christ known through accurate teaching, sound doctrine and living Christ-like lives. Our elders and myself are dangerously earnest about passing it on. And we are looking to you, because God is looking to you, the next generation, to continue the race–to accept the baton and run just as hard/harder. Will you? If chapter one of 2 Timothy was primarily about protecting apostolic teaching and the Gospel message itself, then chapter two is primarily about propagating accurate teaching and the Gospel message. Paul begins his charge to train future leaders by commanding Timothy to get his strength for this great task by being empowered by God Himself in verse 1. I love verse 1, “You therefore, my son, be strong in the grace that is in Christ Jesus.” The verse begins with an emphatic, “you”–you Timothy, you be different. You Timothy, you get this right. This emphasized you is contrasting Timothy’s behavior with the behavior Paul just described in chapter one. Paul’s emphatic “you” in verse 1 is as if Paul looks Timothy directly in the eye. Paul is pushing Timothy to stay focused on this spiritual relay race. You, Timothy, must get this done–but this task is going to require your all. So Paul addresses Timothy as “my son” here. This is a tough one, Timothy. As your father in the faith, I am telling you this must get done. As your loving father, my son, I am warning you, you’ll not be able to wing this–this will not be easy or simple. To pass it on, you’ll need God’s mighty strength. In verse 2, Paul will command Timothy to pursue the priority task of training up the next generation to uphold apostolic doctrine. In simplest terms, apostolic doctrine is the original meaning of the New Testament. It is to embrace and uphold the author’s intended meaning of any New Testament text. From it alone, can you discern God’s will and only from authorial intent can you draw sound doctrine. This is relevant, my family. Will we believe the Scripture about homosexuality, or human reasoning? Will you embrace the biblical roles of husbands and wives, or culture? Training the next generation to uphold sound doctrine will not be easy! And Paul tells Timothy, you can’t accomplish this ministry in your own strength or wisdom. Be strong is a present passive imperative. The imperative tells Timothy being strong is a not an optional command. The present informs Timothy he needs to be strong continually. But most importantly, the passive tells him he can’t be strong. He is commanded to be strong and told to be strong continually, but Timothy is also taught by God’s Word through Paul that he can’t pull it off. How is a strong believer like Timothy going to make himself strong, yet it cannot happen by any amount of personal effort, but must come from someone outside of himself? The strength will come, verse 1, “in the grace that is in Christ Jesus.” Grace generally means God’s undeserved favor, manifested in salvation, sanctification and God keeping us secure. But that definition seems too broad here. In chapter one, Paul speaks of Timothy’s giftedness in verses 6 to 7. The Greek word “gift” comes from the root word for grace. But that grace as merely a giftedness seems to narrow a definition for verse 1. It seems best to understand grace in verse 1 as the power and activity of the Holy Spirit in the believer’s life. As believers live with the continual knowledge of God’s graciousness to them, then believers are motivated to engage their will to walk in obedience to God’s Word in dependence upon the Spirit. The gracious power of the Holy Spirit in verse 1 is what Timothy must be depending upon in order to fulfill verse 2. The ministry of the Holy Spirit as God’s grace to empower Timothy and believers in general fits the context of this verse and the parsing of the verb, be strong. The same parsing, present passive imperative, is used of the continual filling of the Spirit in Ephesians 5:18. Plus the same basic parsing is used of spiritual warfare in Ephesians 6:10, to “be strengthened” for spiritual warfare. And the parsing is used here, “be strengthened” in order for Timothy and others to accomplish the ministry of verse 2. To further convince us that this power is the indwelling Holy Spirit, Paul uses the preposition in twice—“in the grace that is in Christ Jesus.” Paul says, “be made strong in connection with the grace that is in connection with Christ Jesus.” Paul instructs Timothy, the strength comes from the Holy Spirit, who indwells all those who are in union with Christ. The passive voice tells Timothy–as you determine to choose, by an act of your will, to obey God’s commands, but do so in dependence upon God’s Spirit, then God will continually strengthen you to fulfill the will of God. So Paul is saying, keep on being empowered by the Spirit of grace, Timothy, in verse 1, in order to train men for future generations, in verse 2. Just like the branch cannot bear fruit unless it abides in the vine, so Timothy must be not merely living for Christ, but in Christ and with Christ. One author explains it this way. How do you live as a believer? Life under God–this views God as a capricious deity who must be appeased before you get a blessing. Life over God–this is humanity living without God, where the Bible is viewed primarily as a depository of divine principles for life. Life from God–this views God as a divine butler, a cosmic therapist, a holy vending machine. He exists to merely help us through our problems. Life for God—this views life entirely based on what you can accomplish on God’s behalf. John 17:3, “This is eternal life, that they may know You, the only true God, and Jesus Christ whom You have sent.” Do you live life with Christ? Are you intimate with Christ? Timothy is to depend intimately, personally, relationally upon the Holy Spirit for strength. Timothy is to walk with God in order to accomplish God’s mission. But how? Verse 1 tells Timothy he’ll be able to find all the strength he needs to endure all the hardships coming, as he seeks to train men to embrace and pass on apostolic doctrine. Verse 2 now describes the procedure Timothy must follow to make it happen. “The things which you have heard from me in the presence of many witnesses, entrust these to faithful men who will be able to teach others also.” Paul instructs Timothy in the PRINCIPLES, the PROCESS, the PERSONS to invest in and the PROPAGATION of the truth. Verse 2a, “The things which you have heard from me in the presence of many witnesses.” Paul is now commanding his son in the faith to make certain the truth of God’s Word, the principles making up the doctrine of the apostles, are passed on to the next generations of believing men. Why? Timothy is in Ephesus, which is full of heresy, sure. But the real reason is, this is how the Church survives–God’s men in the church pass on the truth to the next generation. Paul, who writes Timothy two chapters later in 2 Timothy 4:9, “Make every effort to come to me soon”–now in a cold prison cell in Rome, here in chapter 2:2 tells Timothy, before you leave the flock in Ephesus to come to me, make certain you secure the establishment of apostolic doctrine in faithful and influential men. The verb heard in 1:13 and 2:2 describes the whole of the apostle Paul’s teaching and mentoring, not a single event. There are some who teach that these things in verse 2 were the sermon at Timothy’s ordination or at his baptism. No–the tense of “you’ve heard” tells us it’s not a solo moment, but the general, overall instruction Tim received from Paul. And this process of instruction Timothy heard was not done in a classroom or a school, but in many churches and in open air preaching, in the normal context of ministry. Get this, the phrase, “In the presence of many witnesses” is literally through many witnesses, describing principles and additional instruction given by others who also taught and who also affirm apostolic truth. These witnesses were not merely spectators, but testifiers. These many witnesses were fellow-teachers who also are committed to teach the author’s intended message of the Scripture and sound apostolic doctrine. The witnesses are most likely fellow ministers with Paul and Timothy, who testify to the soundness of Paul’s teaching and testify to the fact that those words are the truth of God that should be passed on. The truths to be passed on are apostolic teaching, the original meaning of Scripture–what Paul meant by what Paul said to Philippians in Macedonia around 2,000 years ago. “These things” are the entire body of Paul’s apostolic teaching, the Gospel message and the Scriptures of the New Testament. Timothy is to preserve the teaching of Paul, taught and confirmed by many other godly teachers and leaders (witnesses). How? Verse 2b says, “entrust these.” The process Paul calls Timothy to is to entrust. This word entrust is the verbal form of a noun used in 1:14, translated treasure or commitment. Entrust has the idea of depositing something valuable for safekeeping. It’s even used as guarding truth, protecting truth while using truth. The tense of entrust communicates a general, overall commitment, referring to the entire accumulation of apostolic truth–the entire doctrine of the New Testament, the teaching of Christ and His apostles contained in the New Testament, heard over a lifetime of ministry. Paul entrusted this body of doctrine to Timothy. Paul traveled with Timothy, ministered with Timothy, trained Timothy, taught Timothy and now it was time for Timothy to run the second lap in this spiritual relay race and pass this body of truth on to others. Through the means of instruction, modeling, training practice, review, repetition, study, prayer, dependence, multiple examples–through an accurate approach to Scripture using sound hermeneutics, Timothy is to pass on this truth. Who are these persons Timothy is to entrust this treasure to? Verse 2c adds, “entrust these to faithful men.” Paul tells Timothy to invest this treasure “to faithful men.” In the Pastoral Epistles, the word faithful can mean believing, or in the passive sense, the quality of faithfulness, meaning responsible, trustworthy and dependable. This is the crucial test of all who desire to make a difference for Christ. This is the requirement for all true servants. This is the character trait that must be true of any believer in leadership–faithfulness. God is faithful, so believers are to be faithful. In verse 2, faithful refers to men who have the ability to pass apostolic doctrine on, in a convincing way, to another generation. The end goal is so that truth finds similar root in the ones they are equipping and discipling. The goal is that this truth and life-transforming process is passed on to another generation. That’s why the procedure doesn’t stop with these persons, but continues toward the propagation of the faith. Verse 2d, Paul ends verse 2 with, “men who will be able to teach others also.” Passing it on is not an option. Training leaders who will uphold biblical truth is not an extra. This is neglected, overlooked or passed off to a seminary or college. Not in the Bible and not here at FBC. We are looking to the next generation here now to grab the baton and start running. With the last phrase of verse 2, Paul gives a clear picture of his desire to train the generations who follow. Paul says it this way, “who will be able to teach others also.” Four generations are in view in verse 2—1) Paul, 2) Timothy, 3) faithful men, and 4) others. Did you notice what Paul says to Timothy back then and you and I now? Now this skill, “able to teach others,” can’t be forced into a modern, formal classroom. Paul invested into Timothy for years over the course of ministry. Paul uses the broadest possible terms here, using the relative pronoun, whoever will see it—“who will be able to teach others also.” Whoever in the future will be able to teach–they should be entrusted with apostolic doctrine. These others will need to be able to clearly understand God’s Word accurately. And the others need to be able to communicate/teach this body of truth to the next generation after them. Teach it, model it, rehearse it, repeat it, own it. In a convicting way, Paul tells his disciple, his son Timothy, that success in ministry is not determined by the sermons preached, or the content embraced, but by the men trained, who will be able to pass on sound doctrine and an accurate method to correctly interpret the Scriptures to the next generation. God provides the power to get this done. Paul just described the procedure. Don’t panic–verses 3 to 8 are just referred to by way of brief application. What is the . . . This process of passing it on will be costly. There is a price to pay. Timothy, along with you and I all need to be willing to be three things–the focused soldier, the disciplined athlete and the hardworking farmer. Then Paul adds in verse 7, you should think deeply about the focused soldier, the disciplined athlete and the hardworking farmer. Second Timothy 2:7, “Consider what I say, for the Lord will give you understanding in everything.” Think deeply about what the price will be, and . . .
Christ, the God-man died for your sin, was buried and risen from the dead. Christ did for you what you could never do for yourself. Christ sacrificed all so you could be transformed now and live eternally forever. Remember what Christ did to keep you going, to keep you motivated to pass it on. So consider what it means to pass it on. You can’t impact others for Christ unless you walk with Christ. And the sweeter your walk with Christ, the greater impact you will have on others. 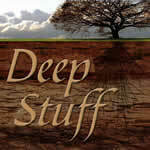 And the deeper your understanding of Christ, the deeper your influence will go. You cannot impart what you do not possess. Go after learning the WORD. Listen to sermons. Attend a Community Group. Follow the reading plan, join Men of the Word or take a women’s class. Join TC next year. Study apostolic doctrine and biblical hermeneutics. Passing it on requires you have learned apostolic truth yourself. Fathers, accept the responsibility of training your children. Moms and dad, accept the goal of equipping your children to have a greater impact for Christ than you ever will. And beyond your families, with prayer, financial support, and personal involvement–invest in the next generation for our church. You and I have precisely one lifetime to make certain the Gospel and accurate teaching survives and thrives in another generation. Do not waste time–passing it on takes time. You and I must labor faithfully and invest wisely. Support our children’s, student and college ministry. Pray for them–invest in them. You can’t live for Christ without Christ living in and through you, by His Spirit. You don’t have the strength in yourself to impact your spouse or children. You don’t have the strength to invest into others. Live each day dependently upon the Spirit, obeying the Word of God. Let’s watch what God will do as we commit to passing it on. Let’s pray.